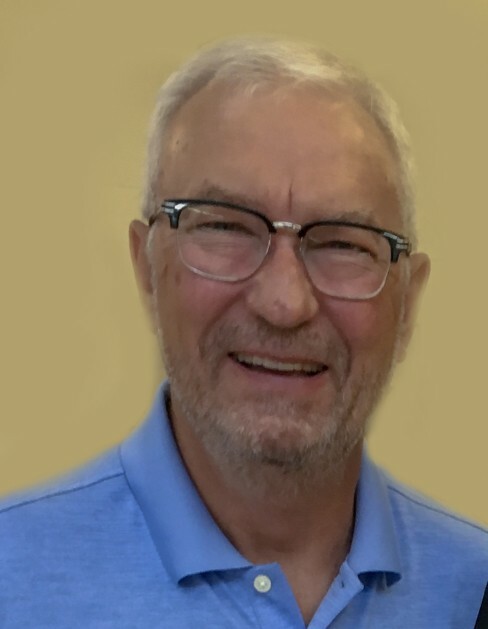 Patrick O’Reilly, 65, of Manchester, Iowa, passed away on Tuesday, September 4, 2018, at the Regional Medical Center in Manchester. He was born on September 28, 1952, in Colorado Springs, Colorado, the son of Sylvester and Lois (Shroyer) O’Reilly. Pat was raised in Iowa Falls and graduated from Iowa Falls High School. He attended Ellsworth Community College in Iowa Falls for two years and then had technical school training in Minneapolis, Minnesota. Pat was a member of the Iowa National Guard for eight years. Pat was married to Kim Beck and two daughters were born to this union. The couple later divorced. On July 11, 1992, Pat was united in marriage to Joanne (Murray) Neymeyer in Iowa Falls. Pat had a long career in the animal health field. He first worked for Schering Plough Animal Health and in 2002 began working for Patterson Company (Animal Health International). He and Joanne moved to Manchester in 2003. Pat retired just two months ago. Pat was a die-hard sports fan and his love for the Iowa Hawkeyes was both broad and deep. He attended many, many Hawkeye football games in person and watched the rest from the comfort of his favorite chair. His mood during football season was reflective of the Hawk’s win-loss record. If football wasn’t in season, he’d watch re-runs of past games or tune in to whatever sport was playing live, often flipping between several broadcasts. The only thing that rivaled Pat’s love for the Hawkeyes was his love for youth sports, especially when his grandkids were playing. Football, basketball, baseball, softball, and even soccer garnered his complete attention when one of his beloved grandkids was in the midst of the action. He loved his wife, Joanne, and wanted only for her to be happy. That didn’t stop him from provoking her, embarrassing her and poking fun at her hobbies. He regularly threatened to take up quilting alongside her, but (thankfully) never made the leap. They traveled frequently and always came back with fun stories to share about their adventures. Their 2008 trip to Ireland was the trip of a lifetime. It topped the trip to Key West, from which they returned with matching shamrock tattoos. Pat was a wonderful father and grandfather, taking great pride in his family’s successes. He loved his grandkids fiercely and, in addition to being their biggest fan in the stands, was known for giving them hundreds of lawn mower rides around the yard and the block. He also loved his siblings, nieces and nephews, taking great joy and pride in their successes as well. Pat treasured his many friends and loved just spending time with them. Pat was so many things to so many people — husband, Dad, grandpa, brother, cousin, friend. He was a proud Irishman, a fisherman, a golfer and a skilled grill master. He was funny and mischievous, and always willing to lend a hand to friends and neighbors in need. He was deeply loved and will be missed beyond measure. Survivors include his wife of 26 years, Joanne O’Reilly of Manchester; his two daughters, Shawna O’Reilly of Rochester, Minnesota, and Kelly O’Reilly of Monticello; two stepchildren, Niklas (Katie) Neymeyer of Marion and Kim (Matt) Burlage of Cedar Rapids;10 grandchildren; one brother, Michael (Susan) O’Reilly of Cedar Rapids; one sister, Judy (Vern) Miller of Coralville; several nieces and nephews; and many friends. Pat was preceded in death by his parents; and two brothers, Steven and Phillip O’Reilly. Please join Pat’s family in celebrating his life. We invite you to come dressed in your favorite sports gear because that’s what he loved best — the Hawkeyes, West Delaware or the team of your choice.